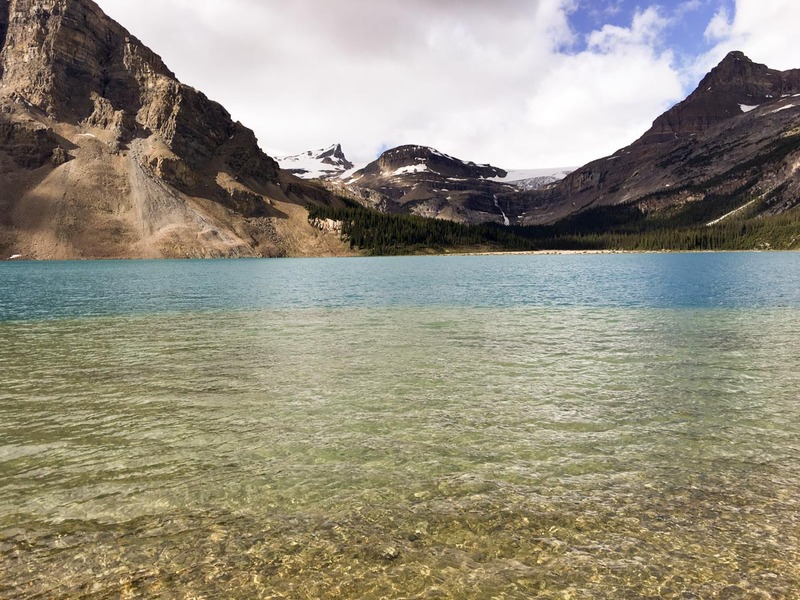 Anybody driving the Icefields Parkway should stop in at Bow Lake and do this family-friendly hike. 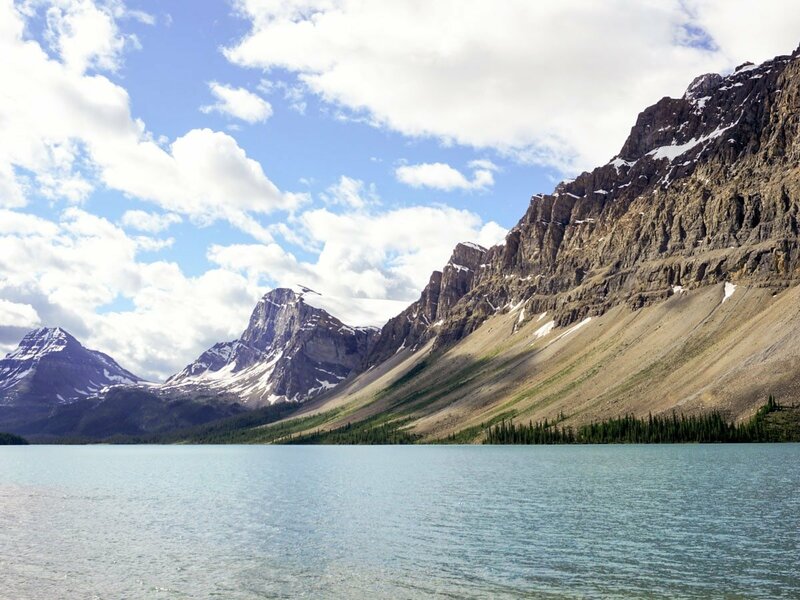 Hiking along the edge of Bow Lake is a great break. 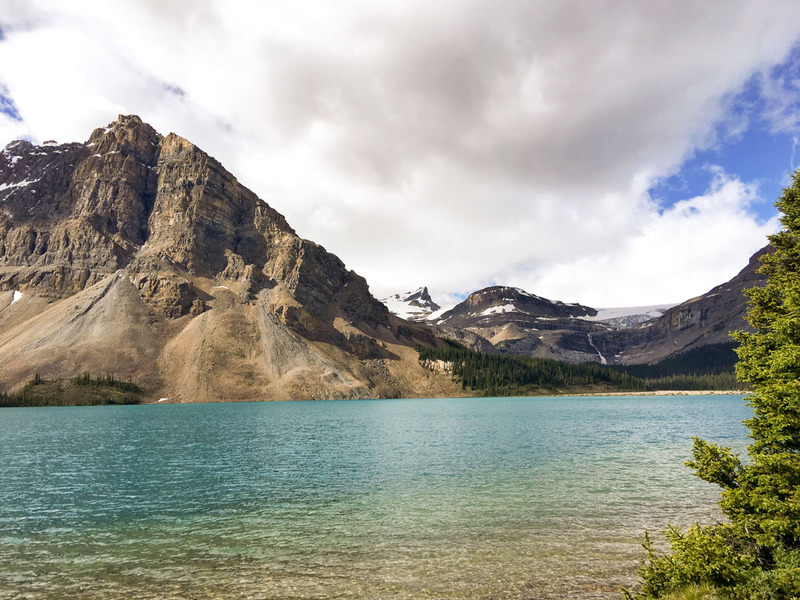 Enjoy the great views of Bow Lake on this easy hike. 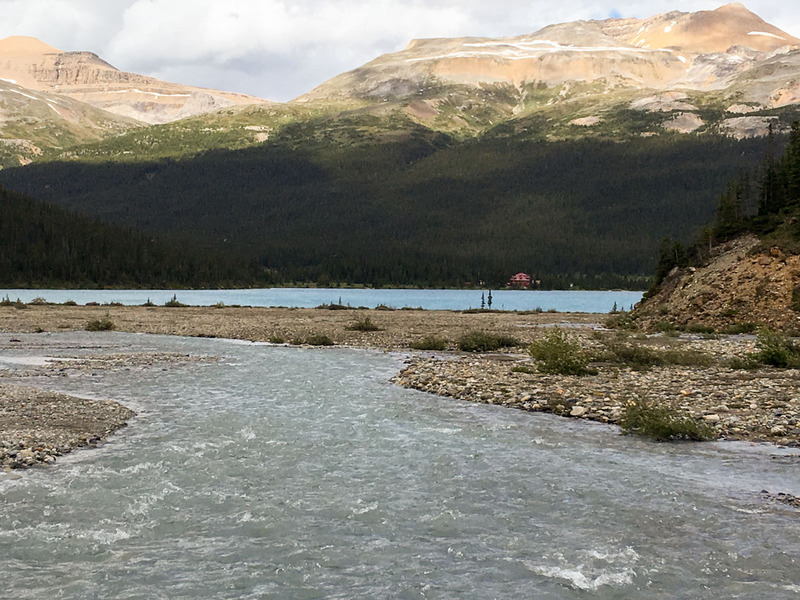 Drive on Highway 93 north towards Jasper for roughly 35.0km and park in the Bow Lake lot and Num-Ti-Jah Lodge.  There is also campground and HI Hostel nearby. 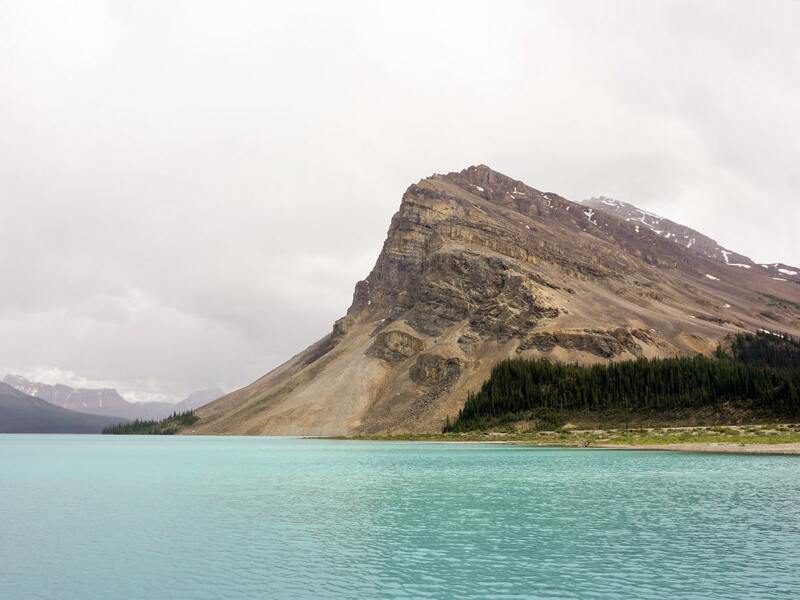 The hike along the shores of Bow Lake is a classic, family-friendly hike in the Rockies. Start your hike in the Bow Lake parking lot, just before Num-Ti-Jah Lodge. This lot fills quickly, so try and get there early. The hike heads to the right of Bow Lake, passing Num-Ti-Jah lodge on the way. 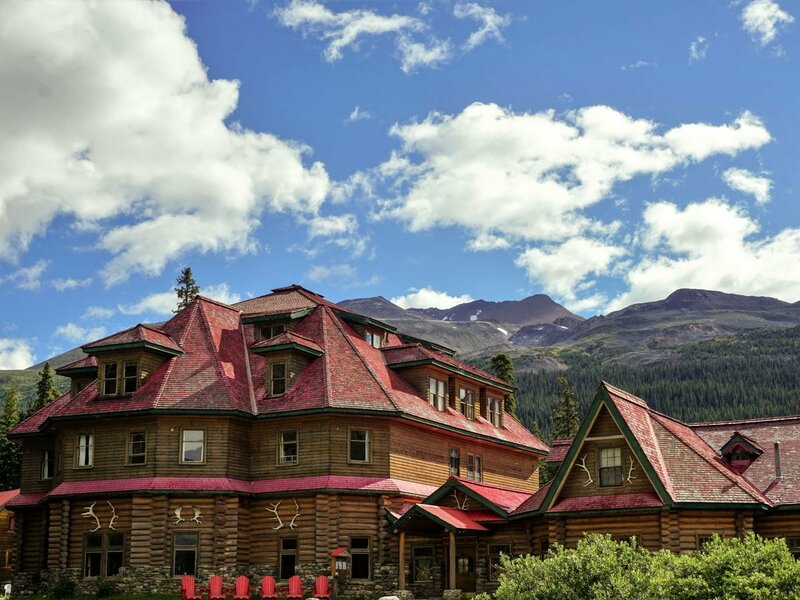 Num-Ti-Jah Lodge is a wonderful reminder of the classic era of exploration in the Canadian Rockies. Built by Jimmy Simpson during the construction of the Banff to Jasper highway, the lodge opened in 1940 with six guest rooms. 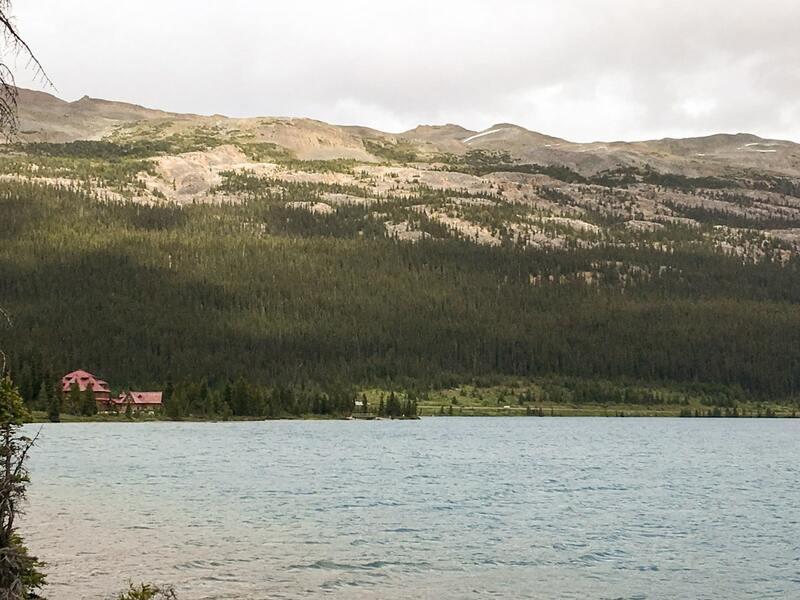 By 1950 the beautiful 16-room log and stone hotel was open, allowing guests to enjoy the stunning views of Bow Lake. Num-ti-jah still has the feel of the 1950s, a charming reminder of a bygone era. Continue hiking along the lake. 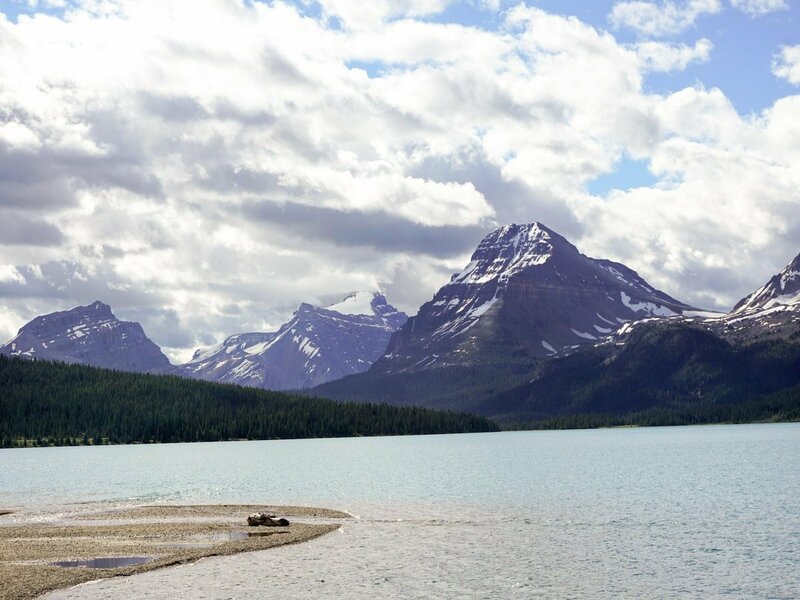 The main mountain across the lake you see is Crowfoot Mountain, a stunning view. Stretching to your left beyond it is Bowcrow Peak and Bow Peak. Above you is Mount Jimmy Simpson, named after the founder of Num-ti-jah Lodge. 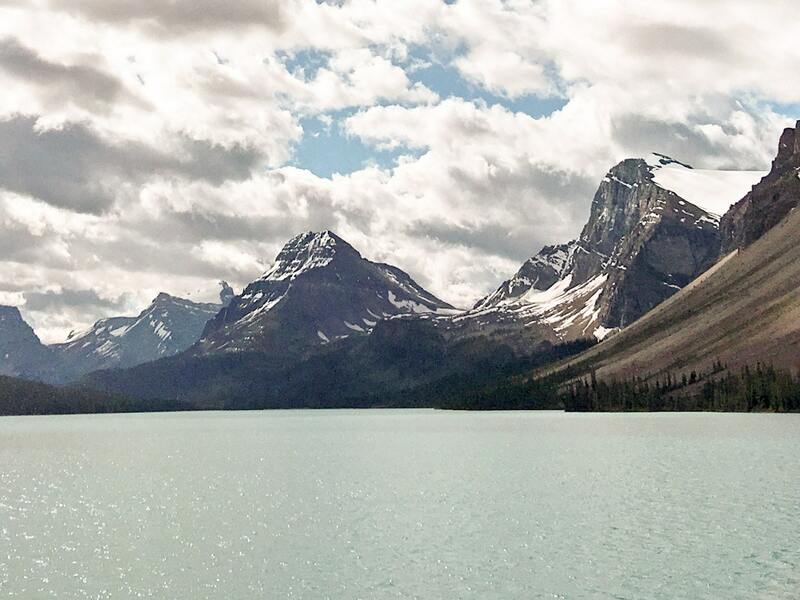 This whole walk around Bow Lake has wonderful views in all directions. Your choice to turn-around depends on how long you want to walk for as well as water levels. The end of Bow Lake can be pretty marshy. When you get to the foot of stairs then that is the farthest you should go unless you want to continue onto either Bow Hut (a challenging hike) or Bow Glacier Falls (an intermediate hike). 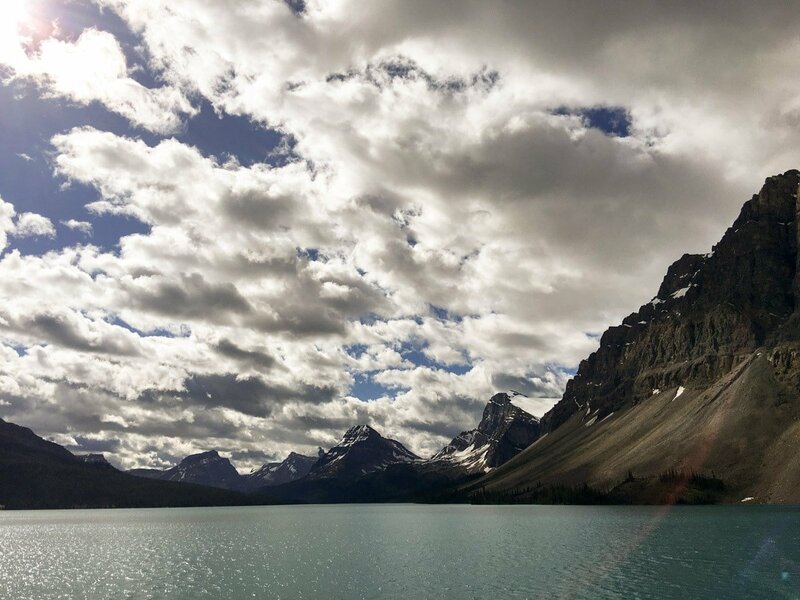 The views on the walk back along Bow Lake are just as remarkable, and we swear the water is just a little bit bluer on the return journey! Consider a stay at Num-Ti-Jah Lodge if you want to do other great hikes in the area or just relive how the Rockies used to be. 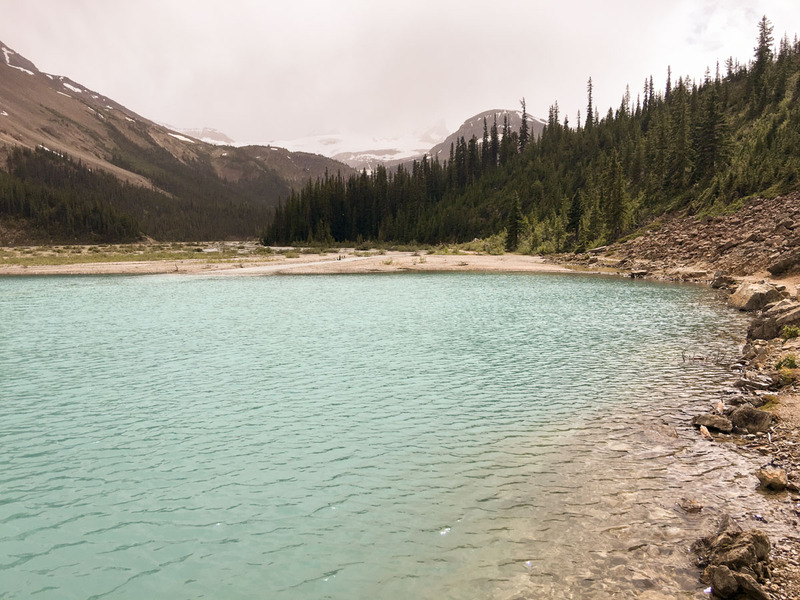 This is a favourite family-friendly hike, as the path is clear, flat and not too long. As such, it can be pretty busy! Check out our YouTube video on this great family hike.